While the rise of nicotine use among American teens, primarily due to the increasingly popular JUUL device, has inundated news outlets across the country, comparatively little attention has been paid to the permanent injuries e-cigarette users suffer when the lithium-ion batteries used to power their devices explode. Lithium-ion batteries, manufactured by corporate giants like LG and Samsung, have saturated the e-cigarette market nationwide. These batteries have been used for decades in laptops, cell phones, and power tools; i.e., in products where the battery is part and parcel of the product itself. The use of lithium-ion batteries in e-cigarette devices differs, as it is one of the first times such high-energy batteries have been sold directly to consumers. Unlike the JUUL e-cigarette, which is powered by an in-device battery, other vapes or “mods” require the user to insert, remove, and recharge lithium-ion batteries. These batteries can wreak havoc on the lives of consumers. At least one e-cigarette explosion-related death has been documented; a Florida man was killed while using his e-cigarette when the vape exploded and sent shrapnel into his head. While more e-cigarette explosion-related deaths could occur, more often the resulting injury is severe leg, arm, and/or genital burns that cause lifelong deformities and scars; facial injuries, including loss of teeth as well as tongue, lip, and cheek lacerations; and cervical spine injuries stemming from e-cigarette shrapnel embedding in the user’s neck. Plaintiffs’ firms are currently litigating these cases across the country. Given the frequency of these injuries, the viability of a class action should be considered. Unfortunately, due to the nuances involved in each case, these plaintiffs have no option other than to pursue their injuries on an individual, standalone basis. E-cigarette cases are complex, not only because they frequently involve foreign defendants, but also because the number and identity of the defendants and the potential for recovery varies significantly case by case. The injuries range from minor burns to death. These factors bar plaintiffs injured by e-cigarette devices from qualifying as a class. In this article, we will address common issues shared in e-cigarette personal- injury cases and explain why e-cigarette users injured by exploding lithium-ion batteries are a non-certifiable class. The rising popularity of e-cigarettes has been accompanied by the proliferation of retail vape shops in the United States, with California being amongst the top five states with the highest rates of vape shops per capita. Vape shops have been the most important sales channels for e-cigarette products, through which the market generated around 46 percent of the global revenue in 2017. The global vaping market is now estimated to be worth $22.6 billion – up from $4.2 billion just five years ago – and is expected to reach $44.6 billion by 2023. In a rush to join the action, thousands of vape enthusiasts opened up local vape shops all over the country. Most of these vape shop owners are first-time entrepreneurs lacking the money and business experience to be successful in the long run. At this point, you might be thinking, “That may be unfortunate for the business owner, but what does that have to do with my case?” In short, everything. For reasons discussed below, the local vape shop may be your only defendant – and thus, your only hope of recovery. But, as is often the case, these vape shops lack the money or foresight (or both) to purchase adequate – or any – insurance to cover your client’s damages. Traditional insurance carriers are reluctant to provide product liability insurance coverage within the e-cigarette market in light of their prior experience with tobacco manufacturers. Most insurance providers see and rate vaping and e-cigarette businesses as tobacco companies and apply the same exclusions to their policies. As such, while many commercial leases require minimum insurance coverage, conventional commercial general liability policies will often contain language that excludes coverage for e-cigarette users’ claims. There are a handful of carriers that specialize in coverage for the vaping industry, but these insurers frequently charge much higher premiums. Thus, many vape shop owners – who have little spare cash or property worth protecting – decide to forego purchasing insurance. With no insurance policy or deep pockets, the value of your case is effectively zero. With a judgment-proof vape store defendant, you will want to locate all potential “deep pocket” defendants. This usually consists of the manufacturers and distributors of the lithium-ion batteries or e-cigarette device. Over 90 percent of the lithium-ion cylindrical batteries on the market are manufactured overseas by companies such as LG Chem and Samsung, and marketed and/or distributed throughout the U.S. through their domestic subsidiaries. While LG Chem and Samsung initially voluntarily appeared in cases filed throughout the United States, they have recently changed course and now require service through the Hague, presumably to deter plaintiffs from pursuing liability against them. Additionally, even when successfully served, LG Chem has attempted to evade liability by challenging personal jurisdiction in nearly every case filed in the last year. A court may exercise general jurisdiction over a nonresident defendant if the defendant has contacts with the state that are so continuous and systematic as to render it essentially “at home” in the forum State. (Ibid.) When a defendant maintains such systematic and continuous contacts with the forum state, even when the cause of action has no relation to those contacts, assertion of general jurisdiction is proper. (Id. at 919.) General jurisdiction over a corporation is not limited to place of incorporation and principal place of business, but it will only be available elsewhere in the exceptional case where corporation’s affiliations with a forum are so substantial and of such nature as to render the corporation “at home.” Those affiliations must be constant and pervasive. In certain situations, the general jurisdiction of the subsidiary corporation may be imputed to the parent corporation. LG Chem, in particular, relies heavily on the U.S. Supreme Court’s decision in Bristol-Myers Squibb Co. v. Superior Court, (2017) 137 S.Ct. 1773 in bringing jurisdictional challenges in e-cigarette actions. In responding to such motions, it is important to distinguish the facts of your case from those found in the Bristol-Myers Squibb case. In that case, a group of more than 600 plaintiffs brought suit against Bristol-Myers Squibb (BMS) in California, asserting tort claims for injuries caused by the drug Plavix. Only 86 of those plaintiffs resided in California. The vast majority of the plaintiffs were not from California, had not obtained Plavix from a doctor or pharmacy in California, had not suffered their injuries in California, and had not been treated for injuries in California. The California courts nevertheless found that California had jurisdiction over BMS in claims brought by the non-California plaintiffs. Significantly, the Bristol-Myers Squibb Court did not question that personal jurisdiction existed for the claims of the California residents. BMS did not even challenge the jurisdiction with regard to the claims of California residents who had taken Plavix. (Id. at 1779; see Bristol-Myers Squibb Co. v. Superior Court (Cal. 2016) 377 P.3d 874, 878.) Instead, the U.S. Supreme Court repeatedly pointed out that the nonresidents had not purchased Plavix in California or been injured by Plavix in California, suggesting this was the decisive factor in the case. (Bristol-Myers Squibb, 137 S.Ct. at 1778. 1781.) The Court also noted that plaintiffs who reside in other states, such as Texas or Ohio, could bring suit in their home states. As the battery defendants have only recently started to challenge personal jurisdiction, the outcome remains unknown. However, if such jurisdictional challenges prove successful, plaintiffs’ ability to recover may be severely hindered. While your client will know the identity of the vape store where he/she purchased the vape or spare battery, the identity of the distributor or wholesaler is not so easily discernable. There are hundreds of vape wholesale distributors in the U.S. alone. As such, discovery against the local vape shop is crucial. However, if the vape shop does not have insurance or the means to obtain representation, you may find yourself litigating a case against the vape shop owner appearing pro se. This presents its own set of challenges. Many of these vape shop owners are uncooperative and do not understand their legal obligations to respond to discovery requests, thus hindering your ability to obtain information necessary to move your case forward against all potentially liable parties. An additional wrinkle in e-cigarette cases is the involvement of third-party re-wrappers. A re-wrapper is an entity that purchases lithium-ion batteries from manufacturers and “re-wraps” the outside of the battery with their own plastic labeling. Think of this as applying a name-brand label such as “Duracell” onto generic AA batteries. This means a battery could be manufactured by LG, but that the outside labeling could bear the name of another company entirely, making it more difficult to determine who manufactured the battery at issue. Additionally, third-party re-wrappers provide an “out” for manufacturing defendants, who subsequently claim the third-party entity either tampered with the battery and/or manufactured it on its own. Given that a large number of re-wrappers are Chinese entities, plaintiffs face an uphill battle contesting this defense. The ability to enforce a judgment is of paramount importance. A judgment – whether by default or verdict – is little more than a memento unless it can be enforced. Lithium-ion batteries are manufactured both domestically and abroad, with domestic companies routinely asserting liability rests with their foreign counterparts. As to batteries manufactured abroad, most are produced in China and South Korea. Enforcing United States judgments in these jurisdictions presents a number of significant hurdles. The first and only time a court in the People’s Republic of China (“PRC”) enforced a United States judgment (that was not a divorce judgment) was in June, 2017. The case of Liu Li v. Tao Li and Tong Wu was brought in Los Angeles County Superior Court on July 17, 2014. The plaintiff (a Chinese citizen) sued defendants (also Chinese citizens) alleging breach of an equity transfer agreement and fraudulent misappropriation of $125,000. The plaintiff secured a default judgment against defendants in the amount of $147,492 but was unable to enforce the judgment in the United States. Plaintiff therefore applied to the People’s Court of Wuhan City (“Wuhan Court”) to have the California state court judgment recognized and enforced against assets located in Wuhan, Hubei Province. The Wuhan Court ruled: (1) it had jurisdiction over the case because the defendants lived and had assets in Wuhan, Hubei Province, (2) the defendants had notice of the Los Angeles action, (3) the Los Angeles action did not violate any basic principles of Chinese law, national sovereignty, security, or social public interest, and, most importantly, (4) the court found reciprocity between the PRC and the United States. First, the underlying suit involved a dispute between Chinese nationals. We cannot assume Chinese courts would be similarly motivated to enforce a judgment secured by a United States citizen against a Chinese entity. Second, the rubric employed by the PRC as laid out in Article 282 of the PRC Civil Procedure Law requires the following conditions be met before a foreign judgment will be enforced and recognized in China: (1) the foreign judgment has taken legal effect in the jurisdiction in which it was rendered; (2) the country where the deciding court is located has a treaty with China or is a signatory to an international treaty to which China is also a signatory, or there is reciprocity between the countries; and (3) the foreign judgment does not violate any basic principles of Chinese law, national sovereignty, security, or social public interest. Although China is a signatory to the New York Convention on the Recognition and Enforcement of Foreign Arbitral Awards, it is not a signatory to any international treaty on the recognition of foreign court judgments. There is no bilateral treaty between China and the U.S. regarding the recognition and enforcement of foreign court judgments, nor is there a bilateral treaty between the two countries on civil and commercial judicial assistance. This means the only way a United States judgment could be enforced in China is if reciprocity exists between the two countries. The Wuhan Court found reciprocity under a very narrow and unique set of circumstances, i.e., a case involving Chinese citizens as both plaintiff and defendants. In considering the issue of reciprocity more broadly, Chinese courts look to precedent. Specifically, Chinese courts will consider whether the U.S. has enforced Chinese judgments. The first time the United States enforced a Chinese judgment was in August, 2009, when the United States District Court for the Central District of California enforced a $6.5 million judgment against an American corporate defendant pursuant to California’s Uniform Foreign Money Judgments Recognition Act. The Ninth Circuit affirmed in 2011. Whether this rises to the level of reciprocity required by Chinese courts is uncertain. The door to enforcing U.S. judgments may have been cracked ever so slightly by the Wuhan Court, but it is far from open. The cost of attempting to enforce the judgment should be carefully weighed against the value of the case. Pursuant to Article 217 of the Korean Civil Procedure Act (“CPA”), South Korea will enforce a foreign judgment if the judgment satisfies the following requirements: (1) the international jurisdiction of the foreign court must be recognized according to the principles of international jurisdiction under legislation or treaties: the enforcing court usually examines whether there is a “substantive relationship” between the party or the case and the forum; (2) proper service: the defendant must have received, under a lawful method, service with sufficient time to reply, or alternatively, if there is no service, it is sufficient that the defendant responded to the lawsuit; and (3) public policy: the foreign judgment must not violate public policy, which has been interpreted to mean the judgment cannot violate the “good morals and other social order” of Korea. Further, Korea – like China – requires reciprocity between it and the foreign jurisdiction. This means there must either be a mutual guarantee, or that the requirements for recognition of a foreign judgment in the foreign country must not substantially differ from those in Korea. Korea has found reciprocity with the following jurisdictions: (1) the State of New York; (2) the Province of Ontario; (3) Japan; (4) Taiwan; and (5) Germany. If Korean courts have not determined reciprocity exists between it and your jurisdiction, your best bet is to sue the Korean defendant in your jurisdiction and be prepared to oppose a jurisdictional motion and secure a court order stating the Korean defendant is subject to jurisdiction in your state. Barring this, even if a judgment is secured, United States plaintiffs would have to engage in motion practice in South Korea to demonstrate the judgment is final, that reciprocity either does or should exist, and the judgment should be enforced. 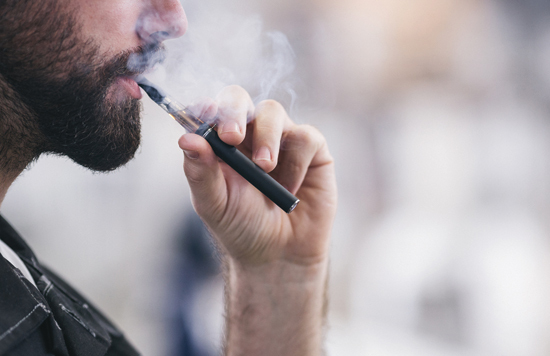 Theoretically, an e-cigarette class action would aid plaintiffs harmed by lithium-ion batteries, in that a class action could streamline discovery and ensure consistent rulings, especially regarding foreign defendants. However, the nuances of each individual case prohibit these plaintiffs from qualifying as a class, even though the underlying facts of each case are substantially similar. The contours of class certification in federal court are delineated in Rule 23 of the Federal Rules. Plaintiffs seeking to certify a class must plead and prove: (1) an adequate class definition, (2) ascertainability, (3) numerosity, (4) commonality, (5) typicality, (6) adequacy and (7) at least one of the requirements in Rule 23(b), namely: (a) separate adjudications will create a risk of decisions that are inconsistent with or dispositive of other class members’ claims, (b) declaratory or injunctive relief is appropriate based on the defendant’s acts with respect to the class generally, or (c) common questions predominate and a class action is superior to individual actions. E-cigarette plaintiffs could easily satisfy prongs 1, 2, and 3. As to prong 1, a class definition must be sufficiently definite so that it is administratively feasible for a court to determine whether a particular individual is a member of the proposed class.” (Messner v. Northshore Univ. HealthSystem (7th Cir. 2012) 669 F.3d 802, 824-25.) Here, class plaintiffs could be defined as persons injured by exploded lithium-ion batteries used in e-cigarettes. Prong 2 is similarly easy to satisfy. While a plaintiff does not need to identify individual class members to obtain class certification, the plaintiff must set forth a “reliable and administratively feasible” method of ascertaining class members so that a defendant can “challenge the evidence used to prove class membership.” (Carrera v. Bayer Corp. (3rd Cir. 2013) 727 F.3d 300, 307.) A viable method that could be used in e-cigarette injury cases is proof of purchase of the lithium-ion battery, proof of injury, and physical evidence. Numerosity, prong 3, could be easily established. In some courts, as few as forty class members are required. (Marcus v. BMW of N. Am., LLC (3rd Cir. 2012) 687 F.3d 583, 595.) Given that hundreds of e-cigarette injury claims have been filed across the country, a class action plaintiff would have no problem demonstrating numerosity. The water starts to get muddy with the commonality requirement. Commonality requires the plaintiff to show “there are questions of law or fact common to the class.” (F.R.C.P. Rule 23(a)(2).) While the facts may vary slightly because the battery could explode while the e-cigarette is in use and/or while being carried in one’s pocket and/or purse, there is a common thread running through all e-cigarette injury cases: the lithium-ion battery exploded. A common question of law is a bit more difficult. Plaintiff’s claims would sound in strict liability, negligence, breach of warranty, and, in some cases, unfair business practices. However, these legal theories can vary significantly on a state-to-state basis, as can the defenses, which relates directly to the next requirement, typicality. Pursuant to Rule 23(a)(3), to satisfy typicality, the plaintiff must show “the claims or defenses of the representative parties are typical of the claims or defenses of the class.” Again, plaintiffs’ claims would be similar due to the nature of their injury (physical harm due to exploding batteries). But the defenses will vary widely depending on the jurisdiction and defendants involved. Some defendants will bring motions to dismiss based on lack of jurisdiction. Some defendants will bring a defense based on innocent seller statutes. Some will seek indemnity from defendants higher up the chain of sale. And some will simply attempt to shift the blame to another party altogether. The adequacy requirement means a plaintiff must show “the representative parties will fairly and adequately protect the interests of the class.” (F.R.C.P. 23(a)(4).) Given the various legal theories a plaintiff can bring depending on their jurisdiction, and the various defenses defendants can assert depending on the same, there is a strong argument that one plaintiff could not adequately protect the interests of another plaintiff who was injured by a lithium-ion battery in a state that has vastly different product liability laws. If the class action water was muddied by the commonality requirement, it falls apart entirely with Rule 23(b) which requires that a plaintiff demonstrate (a) separate adjudications will create a risk of decisions that are inconsistent with or dispositive of other class members’ claims, (b) declaratory or injunctive relief is appropriate based on the defendant’s acts with respect to the class generally, or (c) common questions predominate and a class action is superior to individual actions. Since plaintiffs are not seeking declaratory or injunction relief, plaintiffs injured by exploding lithium-ion batteries could prove either (a) or (c). For the reasons discussed above, it would be difficult for plaintiffs to satisfy prong (c) despite the similarity of claims because of the various legal theories and defenses that could be raised. As to prong (a), separate adjudications could create the risk of inconsistent decisions, but the inconsistent decisions would likely be driven primarily by facts specific to each case: namely, the legal theories, defenses, and parties involved. Just because plaintiffs in this situation could not be class certified does not mean their avenues for recovery are limited. Below, we provide valuable tips we learned along the way to maximize your client’s recovery. Class certification does not bar plaintiffs from obtaining adequate recovery in e-cigarette cases. The tips below will help ensure your client’s rights – and ability to recover – are adequately protected. As discussed above, given the involvement of third-party re-wrappers, identifying the manufacturer of the battery involves more than simply reading the label. An expert must examine the outside of the battery and perform scanning electron microscope (SEM) testing and/or computed tomography (CT) testing to identify markers that are characteristic of each manufacturer. Testing the battery early will allow you to identify the manufacturer, as well as calculate costs of bringing this entity into the suit and evaluate the likelihood of enforcing a judgment. Unsurprisingly, battery manufacturers attempt to deflect blame onto the e-cigarette itself and/or the charger used by the plaintiff as the causes of the battery malfunction. To head off this claim, it is best to obtain not only the exploded battery, but also the e-cigarette device and charger your client used, so all items can be examined by an expert. This will allow the expert to rule these items in or out as contributing causes. Another tactic used by vape stores is claiming that your client did not purchase the subject battery from their vape store. To counter this argument, it is best to have a physical receipt (whether in paper or electronic form) with an itemized list of items purchased. If your client does not have a receipt available, ask them to check their credit card and/or debit card statements for all purchases that show the vape store in the list of transactions. Lastly, many vape stores have “rewards programs” that track each customer’s purchases. If you are unable to document your client’s purchase via receipt and/or card statement, ask if the store has a rewards program and have your client request a copy of his rewards purchases from the store. Perhaps the most important tip we can provide is to file your case as early as possible. Filing a case sufficiently in advance of the applicable statute of limitations will allow time for discovery, which will provide the plaintiff with an opportunity to identify other viable defendants. The defendants to identify would be distributors, as well as any other entity in the chain of sale between the manufacturer and the vape store. This is especially important in jurisdictions where Doe pleading is not permitted. Filing early offers another advantage: determining whether the vape store has insurance and, if so, what the policy limits are. This can help attorneys determine the best route for the future of the case. If the vape store does not have insurance coverage, it is imperative that distributors be identified and added as defendants before the statute of limitations runs. Additionally, this will inform an attorney’s decision whether to name foreign defendants and incur the cost of service through the Hague. Although plaintiffs injured by exploding lithium-ion batteries will not have the benefit of bringing a class action against defendants and streamlining discovery, there are paths that may lead to adequate recovery for injuries. Mahzad Hite is a trial attorney at Levin Simes Abrams focusing on a wide array of complex civil matters in state and federal court. 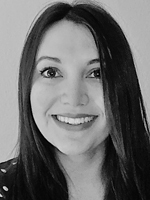 During law school, Mahzad served as a Research Editor for the McGeorge Journal of National Security Law and Policy, and co-founded her school’s chapter of the Consumer Attorneys of California. Since graduating, she has obtained tens of millions in recovery for her clients across the country. 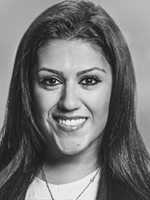 In 2014, Mahzad was selected as a Legal Fellow for the New Leaders Council, Consumer Attorneys of California. Copyright © 2019	by the author.